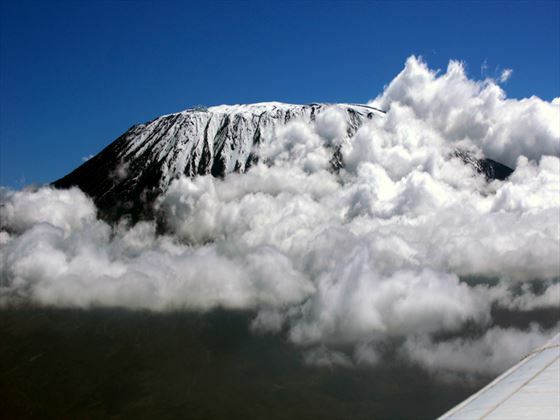 This is arguably the most picturesque route to the summit of Mt Kilimanjaro – Machame boasts different paths to the summit and back. 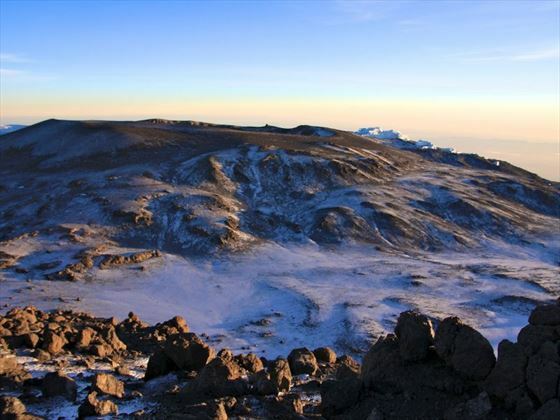 Travel across high alpine deserts with spectacular views of the ice fields, all of which can be found on your way to Uhuru – the peak of Mt Kilimanjaro. Known as the ‘Whiskey Route’, this path leads you through the amazing forests to gain a ridge leading through the moorland to the Shira Plateau. The scenery here is breath-taking, found beneath the glaciated cliffs of the Southern Icefields before summiting from the higher Barafu Camp. 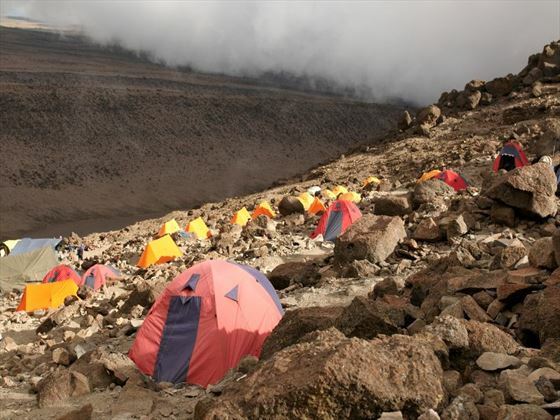 As part of this active trip you’ll camp en-route, supported by local guides and porters, offering you an authentic and unforgettable experience in one of Kenya’s most renowned locations. 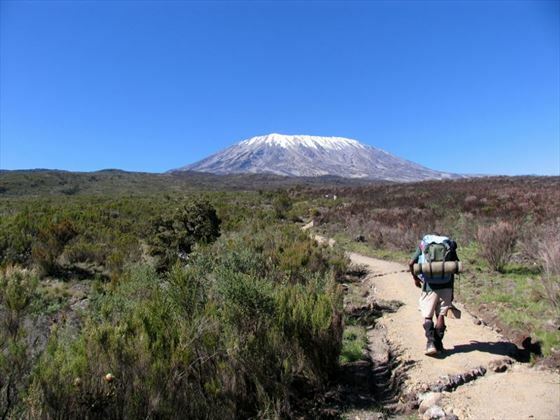 Today, from Machame Gate, you will hike the lower slopes of Mt Kilimanjaro to Machame Camp. Your journey to the village of Machame is a scenic one, and once you've arrived you'll be able to listen to the exotic sounds of the wildlife. Today will be spent hiking through the lower alpine moorland to Shira 2 camp. 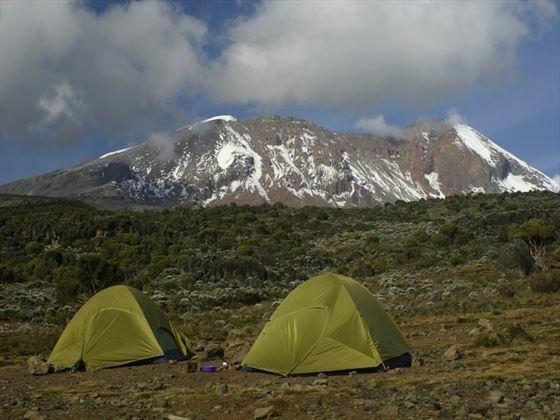 Make the most of the amazing views of Kibo Peak along the way! You'll rise early and slimb the steep landscape of the savannah, passing trees such as the Giant Heather and Erica. Once you reach the gentler ascent, you'll be surrounded by wild alpine flowers and unique native plants. Hike to Barranco Camp via Lava Tower – the fantastic views of Western Breach and Breach Wall found en-route are spectacular. This part of the route will be climbed slowly as it becomes more difficult as you find the trail steepening. 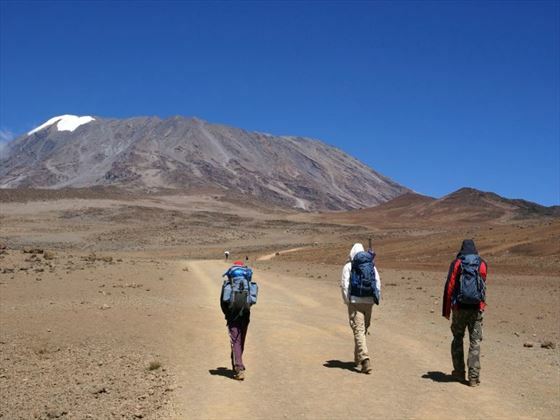 Today sees you hike via the Great Barranco Wall and the vast alpine desert of Karanga Valley. The steady climb up the eastern wall brings you to just below the Heim Glacier, where you'll experience some amazing views of Kilimanjaro. You’ll hike during the night to the Summit via Stella Point. Along the way, don’t forget to appreciate the beautiful sunrise before descending to Mweka Camp.The route is mentally and physically the longest and most challenging day of the entire trek – but the views and the memory of conquering the mountain will be worth it. Today you will continue your descent through the forested lower slopes to Moshi, which will be your final destination on this trip. Once you've arrived at Mweka Gate, you'll continue onwards to the Mweka village for lunch where you can relax with a celebratory drink.The Moshi Women’s Cooperative, a project supported by G Adventures, will present you with a gift and certificate to celebrate your achievement. You may depart at anytime today. Please note, the transfer to the airport or your onward destination is not included so you will need to make your own arrangements for this. 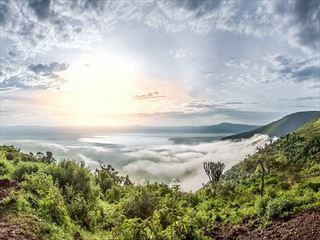 Discover everything that makes northern Tanzania such a thrilling and enticing destination, including the Ngorongoro Crater, Lake Manyara, Tarangire National Park, and the Serengeti. Staying in luxury camps and lodges adds an opulent touch to your adventure. 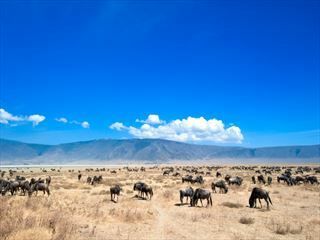 Journeying to Ngorongoro Conservation Area, Serengeti National Park and Lake Manyara, this brilliant five-night tour is a great way to introduce you to Tanzania's stunning wilderness. 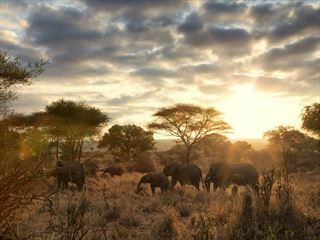 Staying in luxury tented camps or opulent safari lodges, this is a wonderful short tour. Discover the beauty of Tanzania on our Taste of Tanzania tour, before jetting off to sunny Zanzibar for a serene, sun-soaked five night stay at Bluebay Beach Resort & Spa.